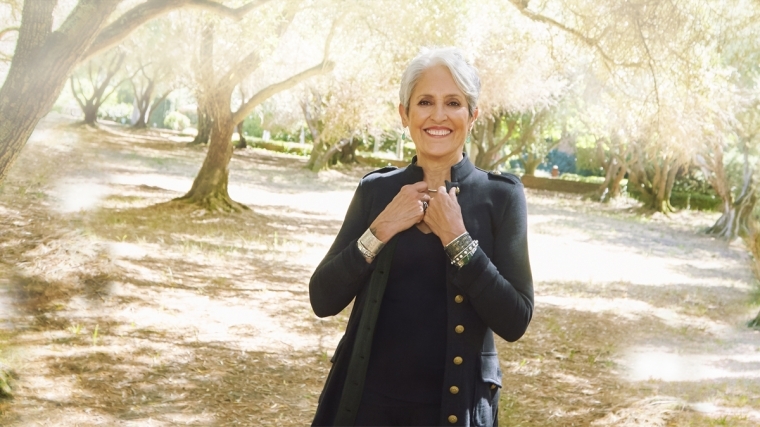 Legendary artist, activist and 2017 R&R Hall of Fame inductee, Joan Baez, has extended her sold out 2018 in conjunction with the release of 'Whistle Down The Wind' her first studio album in ten years, already heralded as one of her finest. Baez’s career has spanned over 50 years during which she unselfconsciously introduced Bob Dylan to the world, marched on the front lines of the Civil Rights movement with Martin Luther King, inspired Vaclav Havel to fight for a Czech Republic, and continues to this day to stand passionately on behalf of causes she embraces. She is the recipient of many honors including the Recording Academy’s Lifetime Achievement Award and Amnesty International’s Ambassador of Conscience award.